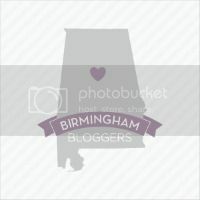 I just made a new blog friend, Ms. Bonnie of thelifeofbon.com. Head on over if you don't know her because she is super fun! Anyway, she invited me to take part in her 5 Facts Link Up and of course I want to treat my new friend right! I think I have just done 2 "facts" posts in the past month so I'll try to come up with some different ones! Part of linking up involved posting a pic of yourself. This is of me at Abby Lee Miller's Studio (of the TV Show Dance Moms). Bonus fact: I love trashy tv!!! 1. I took horseback riding lessons when I was little! I started riding horses with family friends literally when I was 2 and then started actual lessons when I was in the 3rd grade. I LOVED it! I rode English equestrian and had the entire adorable outfit: riding pants, paddock boots, and a hot pink riding helmet complete with black grosgrain bow. I had to quit because of time constraints on my mom (poor lady had 3 kids who all had different activities and none of whom could drive to said activities) but otherwise I'm sure I would have been in the Olympics. Ok, maybe not, but I could have worn my pink hat TO the Olympics and maybe they would have shown me on tv in a crowd shot? 2. I was in 4H club in the 4th and 5th grade. Our school made you do it but I really liked it. I won the bake off both years and in 5th grade I got to go to state and won that! The first year I won a mixer, the 2nd year I won a green trophy which is proudly displayed in my bedroom at my parents' house. I still have the beaters to the mixer, but alas, the mixer died. 3. I never had the chicken pox (and neither did my brother and sister). When the vaccine came out our doctor made us get it and we all broke out into pox that very day, but they tell me I can't count that as actually having them. I have had poison ivy/oak to the point of having to take steroids for a month, so I am no longer allowed to pull weeds or wander around in the woods without pants on. I'm not sad about that. 4. I was on the prom court every year of high school. It involved an interview and I LOVED getting dressed up in interview clothes. (Turns out interview clothes are really "work clothes".) The best part about being on prom court was that you got to have 2 prom dresses--one for lead out at school and one for lead out at the actual prom. Wait, maybe the best part was at the prom you got to ride down the escalator holding a flower during the lead out. It was way classy. 5. My dad surprised me with my car, a 1997 Honda Civic, red, w/ CD player, sunroof, and a spoiler, when I was 15 1/2 (so summer 1999, I think). He wanted me to learn to drive on the car I would actually be driving. Well, I drove that baby until December 2011, when Forrest basically made me give her up. Now this poor girl had been shot with a bb gun (by my dad who still claims he didn't do it, but I saw him out there trying to hit the poor raccoon), had been backed into by my grandmother (who conveniently forgot to tell me she did it), was lacking 1/2 of a pin stripe because of said grandmother's accident. rattled when it hit 45, etc. But I LOVED that car and cried when I left her at the dealership. I got pulled over the very next day after getting new car because I didn't realize how fast I was going because it wasn't rattling. I think it was car karma. Ok, enough about me already! !